What are you up to now? Tell us about your day-to-day duties. I’m currently working seasonal jobs in wine production. 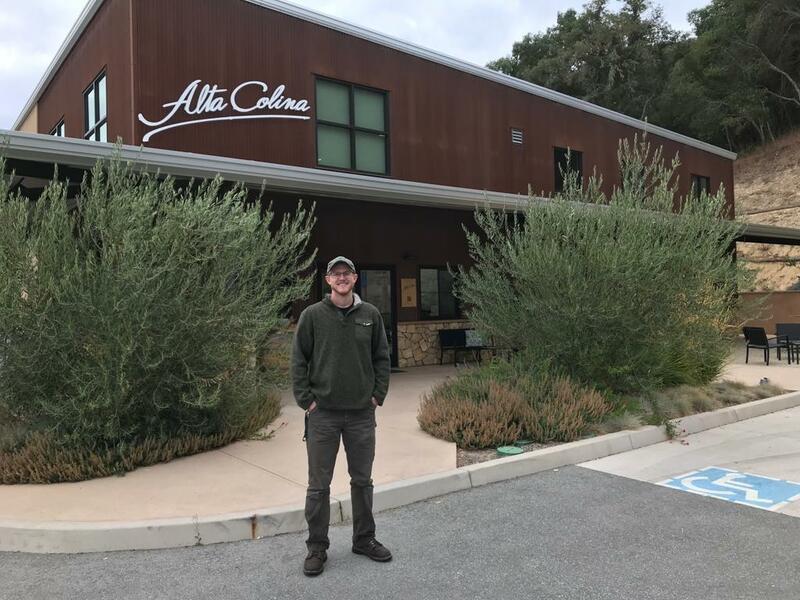 Last fall, I worked at Alta Colina winery in Paso Robles, California and currently working at Sileni Wines in Hastings, New Zealand. Day-to-day tasks include cleaning tanks, processing grapes, managing active fermentations, and transferring wine to barrels and bottling. How did your time as an AgriCorps Fellow lead you to the career you have now? My time as an AgriCorps Fellow emboldened me to take chances and open myself up to new experiences. Previously I was anxious to settle into a career, but my time in Ghana made me realize that I have time to explore and figure out what it is that I want out of my career and life. How did your time as an AgriCorps Fellow shape your views on international development and trade? My time as an AgriCorps Fellow demonstrated the importance of relationships and understanding in international work. I had to earn the trust and respect of my students and colleagues in order to be successful. I think that those two factors are vital in any form of international relations, especially trade and development. I was able to interact with a handful of people working in international development in Ghana, and it seemed that those who were most invested in relationships with Ghanaians were the most successful and respected. What was most memorable about your experience in Ghana? The relationships formed during my time in AgriCorps were most memorable. I enjoyed my students and formed a good friendship with my co-teacher. I also enjoyed getting to know the other AgriCorps Fellows. We helped each other face challenges and formed strong friendships as a result. Sarah Tweeten: Where are they now?